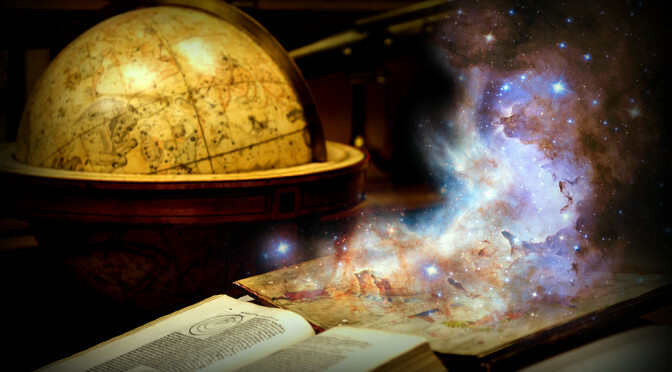 The Weltenbau Wissen List of Worldbuilding Questions offers a step-by-step approach to develop a fantasy world, a science-ficional universe, or anything in between. It has initially been published in German back in 2015 and has enjoyed thousands of visits and more than 800 PDF downloads since. 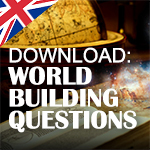 There have been occasional requests to provide an English translation and I’d like to thank Asdhara for helping me with this, so the worldbuilding questions may help a wider community of creators. The list is meant for all genres and media – every worldbuilder must decide for themselves which questions they want to answer for their worlds. For a world to be consistent and vibrant not all questions need to be answered – nor do I claim the list to be complete. But I like to think that it can be an inspiration to worldbuilders and a way to give their thoughts new directions. 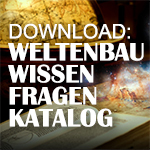 The Weltenbau Wissen List of Worldbuilding Questions is licensed under a Creative Commons Attribution-NonCommercial-NoDerivatives 4.0 International License. You may use, copy and redistribute this content for free (e.g. as a download on your own website), as long as you credit weltenbau-wissen.de as author, do not change the contents and do not use the content for financial gain. Please share your thoughts and feedback in the comments! Is your world and/or its interstellar surroundings part of the known universe, or is it (in) its own universe? Is your universe a conventional one: are there planets, solar systems, galaxies? How do they interact? Or does it differ significantly from ours; is it a disc, a hollow world etc.? Does the concept of a planet not apply at all, perhaps because your world is the centre of the universe? Is there a connection between our reality and that of your world, e.g. a parallel or an alternate universe? How was the world created? Was it an astrophysical event like the Big Bang, or the work of cosmic entities, like Gods? Was it a combination of both? Are there supernatural powers like magic or telepathy? What are the sources of such powers? Are there alternate planes of existence, like parallel dimensions, a ghost world, the warp? How do they differ from each other? Are there gods, beings who are able to significantly influence or alter reality? Are they almighty or at least so powerful that the world’s inhabitants can only comprehend them as gods? Are they still there or have they stopped manifesting? Is it possible to meet them? Is your world static or are there ongoing (cosmic) developments – are continents shifting, is the universe spreading, is the world moving towards a Ragnarök-like event? Is there a never-ending cycle of creation and destruction? Are the ecosystems the same as on our earth, so that geographical features and climes like polar regions, temperate climate, subtropics and tropics are transferable? 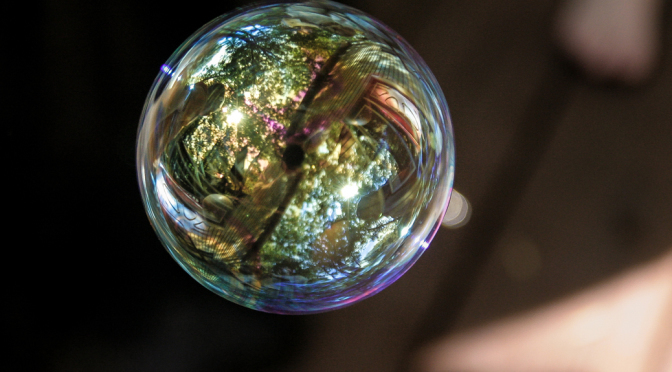 If the world is not a sphere, how does its (alternative) form influence the climate? Are there weather phenomena that diverge from the earth model? How do they happen? For example, is there increased volcanic activity; are there ice crusts, several suns or moons? How does the atmosphere differ from the one on earth, or is there no atmosphere at all? When looking at celestial objects, how do they appear? Is the view different from different vantage points on the world? How do they influence the climate or tides? Is there a day/night cycle? Are there seasons? Are they determined by the planet’s orbit, axial tilt, rotation or some other phenomena? How much do the day-night-cycle and seasons influence the climate? How do they change the landscape? Do they, for example, produce extreme weather phenomena, expansion of deserts and ice masses? Are there landmasses and oceans? How do they relate to and influence each other? As result of this, are there continents or inland seas? 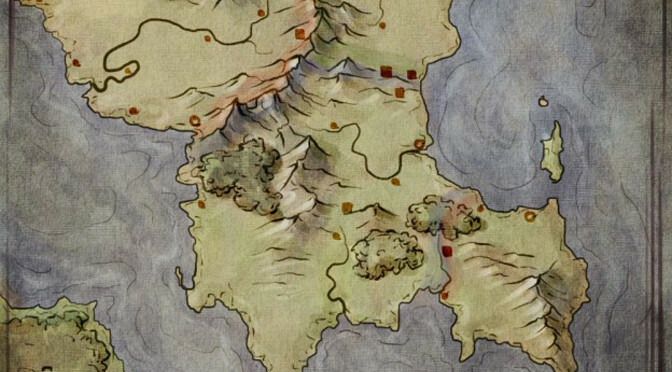 Are there mountains and islands? How do they form rivers and lakes, arid and humid areas? Are there forces like currents and winds? How are raw materials and natural resources distributed? Where are they found and how easily accessible are they? Have life forms had influence on geographical features? If yes, was it due to natural factors like the spread of vegetation, or active interference like the spread of settlements, mining or even terraforming? Which geographical formations and/or landscapes are typical for the world? Does the world have an ecosystem that is based on the one we have on earth, or are there large differences, e.g. all plants are yellow, there are forests of glowing mushrooms etc.? If the ecosystem is different, how is this explained: maybe a different atmosphere, magic etc.? Are the life forms a result of evolution and is there evidence, like fossils? Or has life developed during a much shorter period, as a result of creation by a (mystical) higher entity or technological advancement? Maybe the existence of life is due to colonisation from outside. How complex are the life forms? Is there life on the ground, in the air, in the sea? Are there regions that are hostile to life, or completely without life? What are the challenges that life forms have to face in your world? For example, a very strong or weak gravity, oceans made of gas, life forms under eternal ice, eternal night, strong radiation, magical storms. How have the life forms adapted to life in their particular environment, and are there features that are typical for the world, like blindness, several modes of respiration, multiple appendages? Which ecosystems and landscapes are especially distinctive, home to many species, and which characteristics make it so? Is there a food chain? What are typical representatives of different stages in it in various regions? What are typical animals in the world? How many are there? Where and how do they live? How do they reproduce and what do they eat? If the ecosystem is like the earth’s: how do during the worldbuilding process newly invented species fit with the world? Which ecological niches do they occupy? Do they replace other species and occupy their niches? Are there mystical and/or magical species? Are they part of the natural ecosystem or did they arrive from elsewhere in your world? Are they common, and if they are, how do they feed, where do they live and how do they defend their territory and find mates? Are there species that are able to consciously influence their surroundings and make tools to do it (intelligent species)? Are these species all alike (e.g. are they all humanoid? ), or have they developed in different surroundings – like underwater and on the ground – and rather adapted to their environment? Which traits are especially characteristic for the intelligent species? Do all intelligent species still live? Is one of them particularly dominant, perhaps because it is more robust and reproduces more quickly? Are you defining a “present” you’re working on, a period in the world’s history that is especially detailed? Where is it situated in the world’s history? Is there one or more than one “cradle of civilisation”? Where did the tool using techniques and/or organisation of larger communities originate? If there are more than one intelligent species: do they exist at the same time? Do they compete for space and resources? Is there a civilisation in which different species co-exist? Are there biological differences that could have an influence on the civilisation, like lifespans, biology, living space? Where did the first cultures develop? What facilitated their rise? How did the settlement of these regions happen? How did they progress over time? Are those regions still important settlements? Which principles/rules determined the spread of cultures? Did climatic or geographical factors influence it? Which resources are needed, e.g. raw materials or food? If the world has been settled “from the outside”, how did the settlers/colonisers choose locations for their initial bases? Which resources were the criteria for the choice of location? Which cultures had or still have an especially large impact on progress in large parts of the world? Think of factors like the spread of language, settlements, technology and religion. Which conflicts or events are crucial turning points in the world’s history? Wars, natural events, science, teachings and technologies: how did they influence the standard of living, the spread of settlements, borders or nations? Has there been external influence, e.g. visitations from other worlds or appearance of deities? How are societies organised? Are there loosely organised tribes, feudal societies like fiefdoms or kingdoms, national states or transnational constructs like international or even interstellar alliances? How homogeneous are the various societies? Are they melting pots of different cultures or species? Or are they closed-off systems without much external influence? Are there different social classes? Does the distinction come from a formally established class or caste system or is it founded on economic power or religious edicts? How does the typical smallest social unit look like – e.g. families, extended families, clans? Are there coexisting alternative models, e.g. in different social classes? What holds the society together? Ethnic commonalities? A long cultural history with common values, faith, economic advantages, external threats? How long has the society existed in its current form? How are power and government organised? Is there a democracy, an authoritarian regime, is the transfer of power arranged, e. g. by succession or by prophecy? Is it a meritocracy, where knowledge, great deeds or experience is rewarded? Is it a combination of several of these factors? Does it differ on different levels? Which values are especially important for the society? Are those valid for everyone, or are there differences? Who has legislative powers and how are they executed? Which factors lead to social advancement and prestige? Which ones lead to social disadvantages or expulsion from society? Which rights and/or duties does an average individual in society have? What about freedom of movement, the right to choose their own life’s path? Are there restrictions, like being a part of a particular caste, being politically or economically dependent? Are there any customs or traits that are typical for the society, and how do these represent the societal values and/or the societal/economical standing? Think of clothing, festivals and celebrations, food, greetings, architecture. Are there diplomatic relations between societies/states/planets? How do these function? How does the society react to external threats? Is there a military? How is it organised? Which languages are spoken? Which language has spread the most? Is there a lingua franca? What is the standard of living? Is there a concentration of wealth of resources, owned by a few, or is the wealth spread out evenly? How are goods and wares produced and how does one accumulate wealth? Is there a trading economy, currencies, credit? Is there an open market? Is the economy highly regulated by local authorities or the government? Is education important? How does one acquire an education? Are there rules concerning access to education? How is knowledge of crafts, magic and/or technology passed on? How important is scientific and/or technological progress? How important is art (music, literature, dance, acting, sculpting, painting etc.) in all ranks of society? Is there funding? Are artists respected? How important is religion? Is it the core of societal values and daily life, or is it observed privately? How is the religion organised? Are there (influential) religious institutions? Who is allowed to interpret religious teachings? Are there prophets; is there a caste of priests, a priestly calling and dedicated places of worship like temples? How does the general population practise religion? Is it mostly a prescribed church doctrine or are there also alternative rituals and forms of worship? Do cults vary locally or depending on social status? Are there different religions? Is there conflict between these religions? Is there a dominant religion, or one that is common within powerful circles? Are some religions equally strong? How is the relation of more recent religions towards older ones and vice versa? If deities are real: how much do the faithful know about their deities’ true form? How do the deities benefit from worship? How do the deities communicate with their followers? What is the highest technology level in the largest mainstream civilisation? Which raw materials and energy sources do they use and how safe are they? How advanced is science? How wide is the gap in development between the technologically most and least advanced societies, or the most privileged and poorest classes within a single society? How is knowledge recorded and passed on? Are literacy and a basic understanding of math widespread? Is some work typically done by hand? Do machines or computers help? What means of communication are there, which are particularly progressive, which ones are commonplace and widely available? What means of transport exist, which are particularly progressive, which ones are commonplace and widely available? What distances can be travelled safely, what would be a risky expedition or thought of as impossible – e.g. 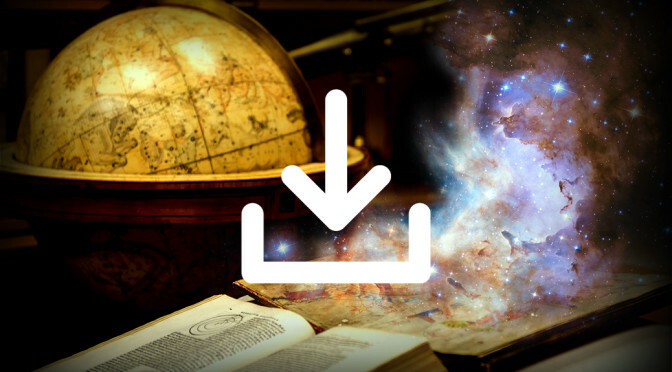 sailing around the world, travel to other galaxies? How far has medicine progressed, which diseases and injuries can be treated successfully? What kind of technologies are used for armed conflicts? Does magic follow clearly defined rules, so it can be examined and systematically applied, or is it unpredictable – e.g. effects and consequences are not reliably reproducible and depend on coincidental and/or arbitrary criteria? What are the limits of what magic can do? Which sources of magic are there? Who can practise magic? What are the prerequisites for magic? Are there limits to the practise of magic? Is it possible for the “not gifted” to use magic, for example by using artefacts? Does magic work in of for all living beings, is it exclusive to one species or does it “just” require knowledge? Are there gifted creatures? Does magic manifest visually? Are there, for example, “impossible” phenomena or landscapes, or light effects? Can magical activity be perceived by other senses or detected by specific devices? How do different cultures treat magic and magic users? Are magic users revered, feared, stigmatised, persecuted, or regular members of society? What is the relationship between magic users and political power? What is the relationship between magic users and religious ideas? What is the relationship between magic and technology? Are there – thanks to magic – otherwise impossible achievements in material processing, communication, transport, warfare, medicine or architecture?